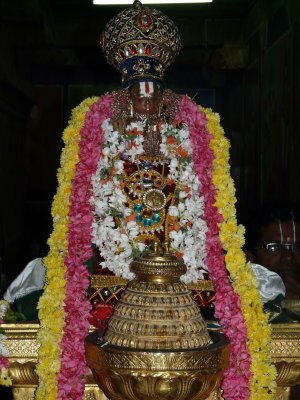 thirumazhsai AzhwAr divined a beautiful prabandham named nAnmugan thiruvandhAdhi. 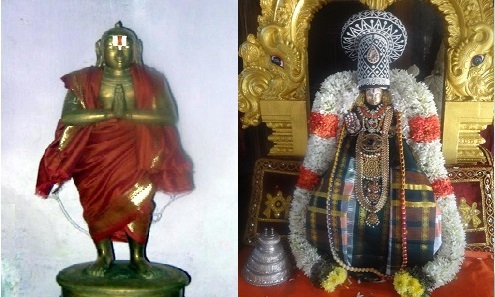 While the first three thiruvandhAdhis are focussed on SrIman nArAyaNan’s supremacy, this prabandham establishes the exclusive supremacy of SrIman nArAyaNan and eliminates the question of supremacy of any other dhEvathA. This is part of the iyaRpA section of the dhivya prabandham. 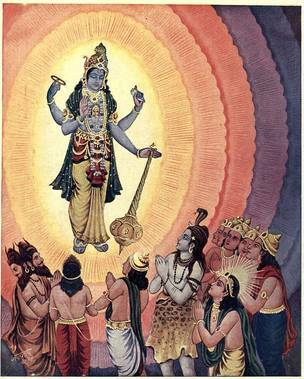 iyaRpA is generally recited during puRappAdu (ceremonial procession of uthsava deity of emperumAn). With this introduction, we will proceed with the translation for nAnmugan thiuvandhAdhi. The commentary for this prabandham has been written by nampiLLai and by periyavAchchAn piLLai (which has been explained by appiLLai, one of the ashtadhik gajangaLs of maNavALa mAmunigaL). We will also be using puththUr krishNamAchArya swamy’s additional explanation extensively in our translation. This entry was posted in iyaRpA, nAnmugan thiruvandhAdhi on June 14, 2018 by Sarathy Thothathri.